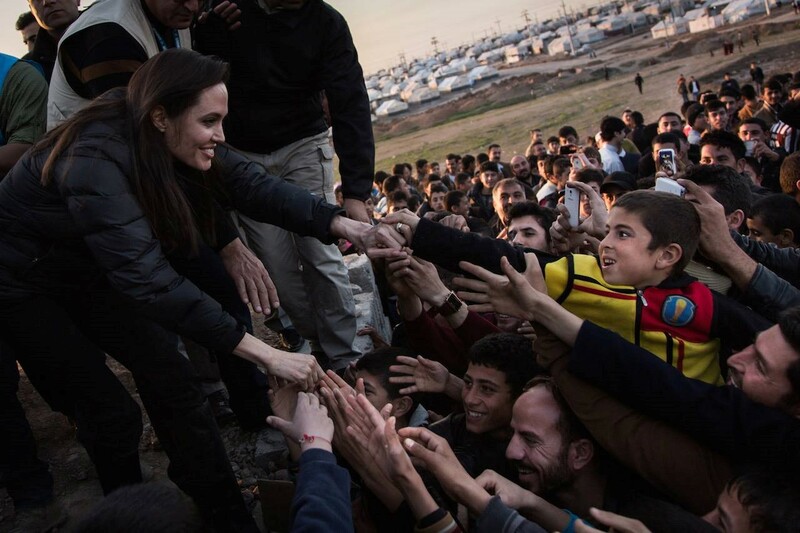 The New Humanitarian | Who celebrity advocates are really targeting. And it’s not you. This week was a fanfare for celebrity humanitarians: Forest Whitaker appealed for peace in South Sudan alongside UN Under-Secretary-General for Humanitarian Affairs Valerie Amos; Angelina Jolie opened an academic centre on sexual violence in conflict with British Member of Parliament William Hague; and UNICEF Goodwill Ambassador David Beckham launched an initiative for children. It doesn’t actually work. At least not as much or in the ways we think. According to research by Dan Brockington, a professor at the University of Manchester, public responses to celebrity activism are surprisingly muted. His work is the first quantitative research on the subject. “Using celebrities for broader outreach, for reaching mass publics and attracting media attention is absolutely not the silver bullet it appears to be,” he told IRIN on the sidelines of a 6-8 February conference at the University of Sussex, where he presented research recently published in the book Celebrity Advocacy and International Development. In a survey he conducted with 2,000 British people, 95 percent of respondents recognized five or more of 12 charities listed to them, including the British Red Cross, Save the Children UK and Oxfam UK. But two-thirds of the respondents did not know a single “high-profile” advocate of any of the NGOs (In this case, music executive Simon Cowell and singers Victoria Beckham and Elton John respectively, among many others). The realpolitik might not be that pleasant. But you'll achieve your goals. Focus groups and interviews with more than 100 “celebrity liaison officers” and other media staff at NGOs further reinforced his findings. What’s more, Brockington says, those who pay attention to celebrities do not necessarily know which causes they support. Despite the rise in the use of celebrity advocates (which, by the way, dates back to at least Victorian times), the mention of charities in broadsheet and tabloid articles about celebrities only increased ever so slightly between 1985 and 2010, according to a separate study by Brockington. “There has also been a decline in the proportion of newspaper articles mentioning development and humanitarian NGOs at all,” the study found. The perception that celebrities engage the public in the first place may itself be overstated. 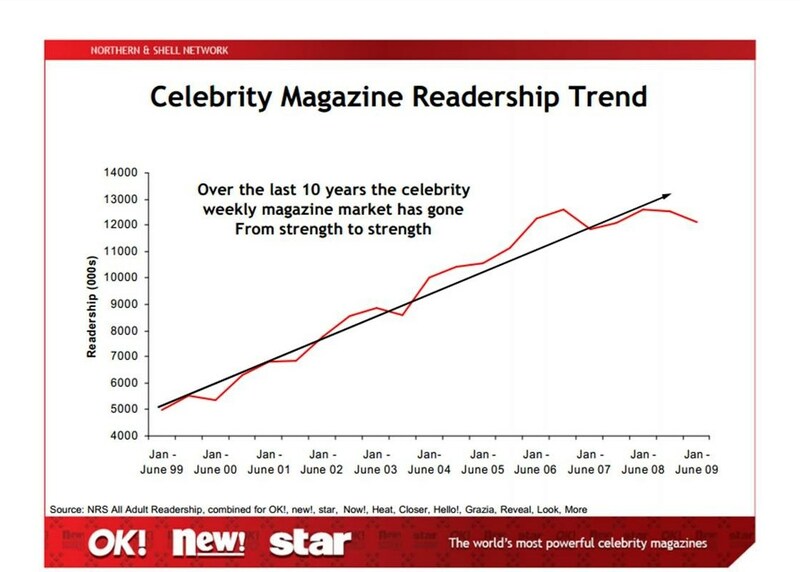 After a steady rise in coverage of celebrities in the British press over two decades, the percentage of articles mentioning the word celebrity (only a fraction of total articles about celebrities) stopped increasing around 2006 and is now hovering at about four percent of all articles studied, the research found, validating the findings of earlier studies on the same subject (The study looked at The Guardian, The Times, The Independent, Daily Mail, The Mirror and The Sun). The magazine industry’s own statistics show a tapering off of readership in recent years after steady growth. Celebrities can be successful in engaging the public – Miley Cyrus made waves last year when she sent a homeless man to pick up her MTV Video Music Awards; Bob Geldof’s charity single on Ebola quickly rose to the top of the charts; and celebrity-driven telethons like the UK’s Comic Relief are generally quite successful. Leonardo DiCaprio’s speech at the opening of the Climate Summit 2014 garnered nearly 2 million views on YouTube – far more than many of the heads of state who also spoke at the summit. And the effectiveness of celebrity advocacy in non-Western contexts, which is much less studied, could well be higher. UNICEF, for example, uses more national than global celebrity ambassadors because they often resonate better with local audiences. Social media campaigns can also be extremely successful in some instances, though “not a game-changer”, according to Brockington (For a cold shower on this topic, see Paul Currion’s column on why KONY 2012 may have engaged the public, but ultimately failed). But on the whole, at least in the UK, public interest in celebrity appears to be lower than most people think, Brockington says. But the belief in star power - inaccurate as it may be - lingers: In his survey, 74 percent of respondents said they thought other people paid more attention to celebrities than they did. Statistically, this cannot actually be true, but it proves an important point: If people think that other people care about celebrities, it can become a self-fulfilling prophecy. Brockington found that while celebrities may not be as successful as we think in engaging the public, they are still successful at engaging politicians and decision-makers. Because politicians - like most people - like being around celebrities. But also because politicians – also like most people - believe that celebrities express populist sentiment, even though, in fact, they often don’t. So they grant them access and influence. 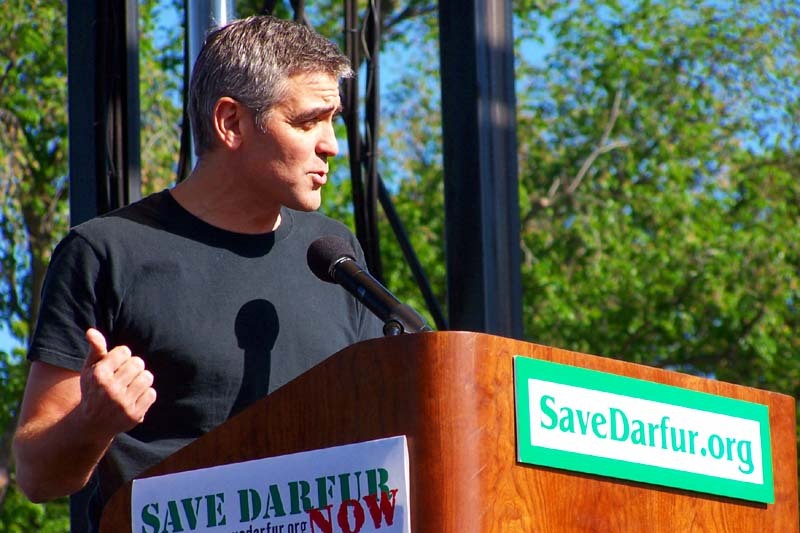 Ben Affleck, for example, has briefed US Congress about the Democratic Republic of Congo and George Clooney has addressed the UN Security Council about Darfur. For the small but growing number of academics studying the subject, the gap between celebrity advocacy and public engagement raises a major ethical question: If celebrities wield all this power and influence, yet do not represent popular sentiment, who are they accountable to? Celebrities’ increasingly powerful voices on issues of humanitarian aid, poverty reduction and famine has allowed them to “often decide for the suffering receivers” and eliminate public scrutiny and debate, according to Ilan Kapoor, a professor at York University in Canada and author of Celebrity Humanitarianism: The Ideology of Global Charity. “…Mostly unelected, private individuals and organizations have, for all intents and purposes, taken over what should primarily be state/public functions,” he writes. Perhaps even more interestingly, Brockington found in his interviews with staff of NGOs with celebrity advocates that liaison officers know the impact on the public is limited, but use celebrities anyway because they can access and influence not the general public but decision-makers. UNICEF’s announcement of a new initiative for children by its Goodwill Ambassador David Beckham may reflect a clear understanding of this precise point. It reads: “David will use his powerful global voice, influence and connections to raise vital funds and encourage world leaders to create lasting positive change for children,” the statement said. For Jeffrey Brez, of the UN’s Messenger of Peace Programme, the target audience depends on the specific goal in that instance. Brez and Jensen both challenge the suggestion that celebrities are seen to be a silver bullet to public engagement, insisting they are just one tool in the toolbox. “We’re always looking just to incrementally move the needle,” Brez says. But he complains that he and his colleagues lack real research to assess just how much impact their outreach has. When Project Runway All Stars shot its Season Finale at UN Headquarters, 2 million fashion fans – not the UN’s traditional audience – were exposed to its work in a positive light. But how much did they retain? Did their perceptions of the UN change? Brockington cautions not to read too much into his findings: celebrity advocacy can work, he says, but must be used strategically, for example to influence elites or fundraise among existing supporters. But he says celebrity liaison officers are themselves frustrated by their NGO colleagues’ expectations that if they just throw a celebrity at something, the organisation will be instantly successful at captivating the public imagination. Could the bubble eventually burst if more people become aware of the limits of celebrity advocacy? Unlikely, Brockington says, given what has now become a celebrity advocacy “industry”, in to which NGOs invest a lot of time and resources.